Amposta: It has offices (350 sq. m.), labs (100 sq. m.), warehouse (200 sq. m.), insectary (30 sq. 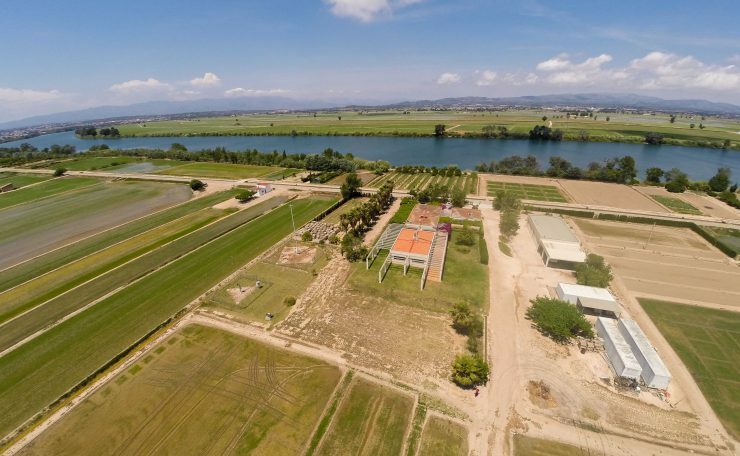 m.), a experimental field of 8 ha in Amposta for rice, and another one in Bítem (4 ha) for citrus fruits and carob tree, besides other fields with temporary renting contracts. Gandesa: It has a warehouse (150 sq. m.) and an experimental field (11 ha) for vineyard, olive tree and almond tree (in irrigated land).